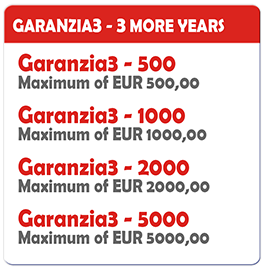 GARANZIA3 is the extension of warranty that extends the life of any product of consumer electronics for 3 years longer (3 more years), repairing it without additional costs. 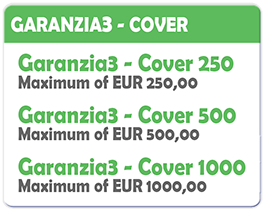 GARANZIA3 warranty extension service will be provided following the same terms and conditions indicated in the original warranty issued by the producer and valid at the moment of the product purchase. The product purchased will be repaired or replaced free of charge! No deductible is required to the customer for the repair of the product, nor will any money deposit be requested. Any damages or faults caused, in any case, by negligence of the customer or due to the normal wear of the components, that are excluded by the original producer’s warranty are also excluded from the warranty extension. 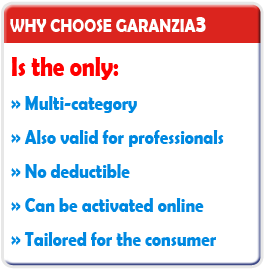 In the event that the product cannot be repaired, GARANZIA3 provides for the replacement or the possible refund. In addition, with the purchase of a GARANZIA3 warranty extension, we will offer a free consultation in the comprehension of the producer’s legal guarantee terms, for the initial 24 months from the purchase of the product. 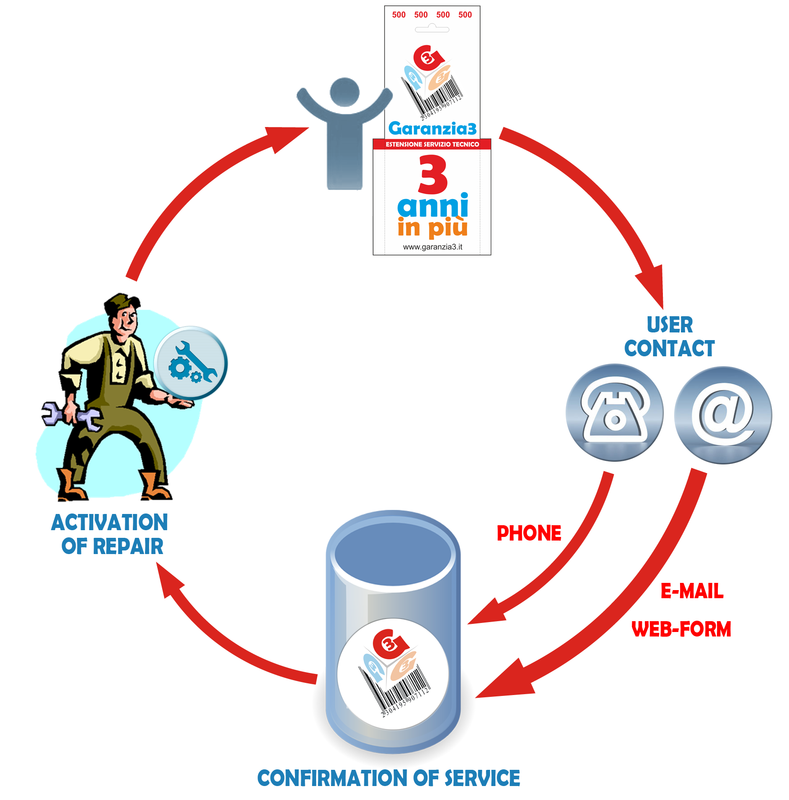 For any details on GARANZIA3 or to request information about our services or to communicate the damage of the equipment once expired the legal guarantee term, simply contact the free number (from Mon to Fri from 10:00 to 17:00 ).